When you walk where Jesus walked, see what Jesus saw, it simply changes the way you read your Bible—turning your black and white pages into stunning living color! Since 1993, Compass has organized over 56 trips to the Holyland and we’ve learned a lot about what it takes to make your trip the best it can be––top sites, best hotels, top Jewish guides and well-thought-out itineraries to maximize your time at the Biblical sites. We do things differently because we’re a ministry, not a travel agent. So we take you, we don’t send you, every step of the way. Israel and/or a Biblelands Cruise? 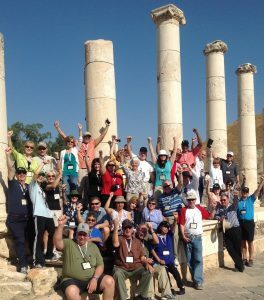 You can choose either a Compass all Israel land trip criss-crossing the heart of Israel, or our Biblelands Cruise, porting not only in Israel but also at other Biblical sites like Athens, Corinth and Rome. Either trip has advantages, depending on what you want to accomplish. Choose from trips below! We also take a succinct four-day weekend Bible trip to the Grand Canyon each June, led by Creationist Russ Miller. On this Thursday to Sunday trip you’ll see the canyon from and top rim on Friday, and from the bottom on Saturday rafting 17 miles down the Colorado River. You’ll learn many scientific evidences that support a global flood carving out the canyon in a matter of days, about 4500 years ago. Choose from trips below! Only 7 spots left on this trip! Sign up today! Creation and the Grand Canyon 2019! June 20-23, 2019 This week is SOLD OUT, but there are spots available on our June 13-16 trip. Click on the links above or below to sign up! NEW: Sign up our new June 13-16 trip! Christian Heritage Weekend! June 6-9, 2019 SOLD OUT! Call our Office to get on a waiting list! Oberammergau 2020 August 2020 SOLD OUT — You can still get on our waiting list–it’s a long time before this trip departs and we expect a cabin or two to open up, so give us a call! God says you’ll be blessed, as well as be a blessing to Israel, when you travel to His land. Don’t fall for the biased media coverage. Not one person has died since 1948 going to the Biblical sites in the Holyland. People who’ve been to Israel all want to return. The reason they want to return is that nothing, short of heaven, connects so many spiritual dots as joining us on a Bible study mission trip to God’s special place on earth. Nothing. Zero. Zilch! You just can’t imagine what it’s like standing on the shores of the Sea of Galilee, praying in the Garden of Gethsemane, viewing the Old City of Jerusalem from the Mount of Olives or peering into the Empty Tomb.? Which trip should you choose? Compass organizes two types of trips to the Holyland. You can choose an “Israel only” land trip, or a Biblelands Cruise. Each has it’s advantages and both cost roughly the same amount. “Israel only” is just that. You fly into and out of Tel Aviv. A typical schedule includes sites on the Mediterranean coast, Galilee, Jordan Valley, the Dead Sea and Jerusalem. With this trip you spend more time in the land itself. “Biblelands Cruise” gives you all the key sites in Israel, usually spending two or three touring days in Jerusalem and Galilee. But, the cruise stops in other countries as well. Flights are into and out Athens, Greece, Istanbul, Turkey or Rome, Italy. 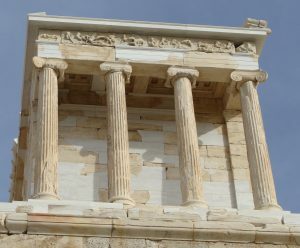 In addition to the ship visiting Israel, you’ll also see additional Pauline sites like Rome, Athens, Ephesus, Patmos and Corinth, and, the Egyptian Pyramids, Rhodes, and Crete. 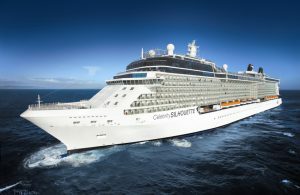 Each cruise has a specific itinerary. We hope you join us!!! But regardless if you go with us or someone else, make the decision to see what you’re reading in your Bible! It will change your life!